The India Mobile Congress (IMC) 2018 today announced the launch of “APPrize” - the IMC 1000 App Challenge. The APPrize is an IMC initiative to encourage next wave of the technology revolution for India. Through this five-month online contest, IMC intends to shortlist the top 1000 apps developed to address twenty (20) problem statements across five (5) themes. 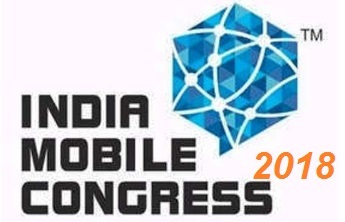 Participants can register or get more information on the “APPrize” - The IMC 1000 App Challenge by visiting the India Mobile Congress website – www.indiamobilecongress.com. This challenge is facilitated by Startup India, Invest India, Department of Industrial Policy & Promotion, Government of India, Ministry of Commerce and Industry and iValley. The challenge is open to all mobile application developers across the country. APPrize aims to promote new service models, access to innovative services, support skilling and manpower development through value creation. It offers a multitude of opportunities for not just the app developers and entrepreneurs, but also for the stakeholders who would benefit from the solutions offered through this platform. The 1000 Apps will be selected through a stringent due diligence process and the shortlisted apps will be launched from the IMC Stage on 25th October 2018, at the Inaugural Session of India Mobile Congress 2018. Under the theme “NEW DIGITAL HORIZONS Connect, Create, Innovate”, India Mobile Congress will be held during 25th October and 27th October 2018 at Aerocity, New Delhi, with a slew of parallel events taking place at same venue. The launch of these 1000 Apps through the push of a button and simultaneous posting on an app marketplace, will prove transformative for the Indian App Economy. An interactive App showcase, the App Tunnel will display the 1000 apps at India Mobile Congress 2018. It will be a dynamic tunnel structure lined with numerous LED screens that will carry details of the 1000 apps developed for the launch at IMC 2018. Leading the initiative Mr. Rajan Mathews, Director General, COAI said “This year, our endeavour is to catalyze app developers/app entrepreneurs to bring about a significant change in the mobile app ecosystem in India. We wish to do so by attempting a world record by launching 1000 Apps on a single day via a single platform”. The curtain raiser for India Mobile Congress 2018 (IMC) took place on April 13th, 2018 where the Hon’ble Minister of State (I/C) for Communications and Railways, Government of India Shri Manoj Sinha announced that the event will be held between October 25-27 this year. “IMC 2018 is important as it provides the unique platform for stakeholders to exchange ideas and innovations, in a field as dynamic as ours”, said Mr. Sinha.